In what could be a major spoiler for the swarms of holidaying crowd visiting Rishikesh this weekend, the Uttarakhand High Court has banned adventure sports, including river rafting and paragliding, in order to safeguard the environment. 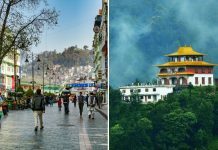 The ban stands effective throughout the Himalayan state until the administration puts in place a policy to regulate the adventure activities taking place in the state. “The state government is directed to prepare the transparent policy within a period of two weeks. 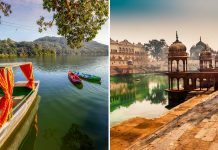 Till the policy is framed, no white river rafting, paragliding and other water sports shall be permitted in the state of Uttarakhand,” the HC order said. The order came in response to a PIL filed by Rishikesh-based activist, Hari Om Kashyap, who claimed that the state authorities were favouring private agencies to organise water sports on the Ganga, adding that temporary structures were being permitted to be set up on the banks of the river. According to reports, there are at least 300 rafting operators active along a 36-km stretch of the Ganga, earning the state an annual revenue of Rs 75-80 crore. The state government has till date not enacted any law to regulate white river rafting, paragliding or water sports, the HC said. “The state government cannot be oblivious to its duties to regulate and restrict the unauthorized activities. The white river rafting is a serious sport. Paragliding is equally dangerous if not regulated. The water sports in big lakes like Tehri Dam can prove fatal. These are required to be regulated,” the court observed. 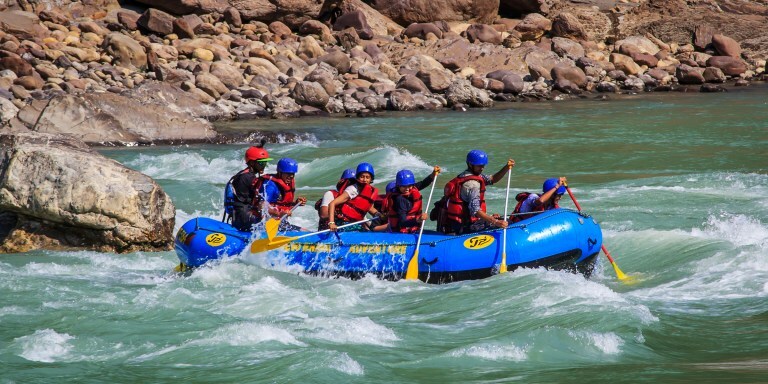 For those who have the not yet experienced the adrenaline rush of river rafting, head to Pahalgam in Jammu & Kashmir to tick off the activity off your bucket list. A relatively unexplored territory in terms of water sports, Pahalgam offers rafting in River Lidder. The river cuts through an intricate network of gorges, rocky outcrops, and mountain villages, offering a challenging terrain for the experience. Need a better reason to plan that long awaited trip to Kashmir?